Welcome home! 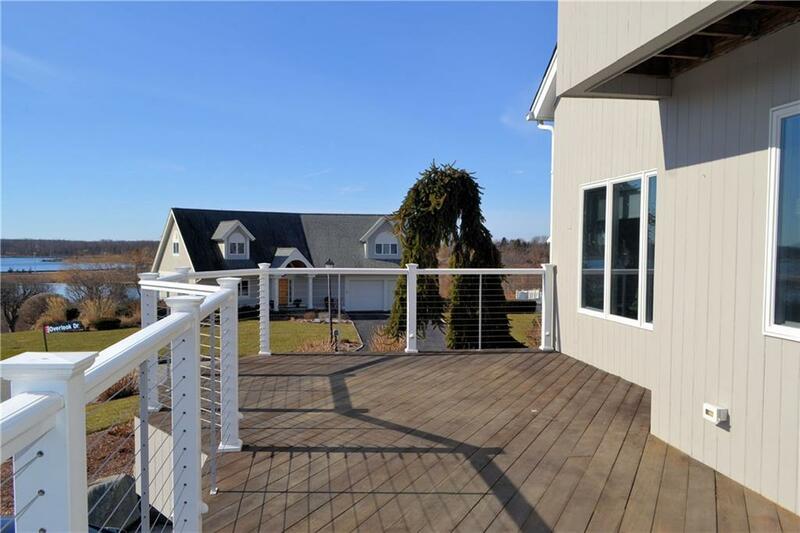 Resting at the highest point on Overlook Drive this home offers the perfect setting. 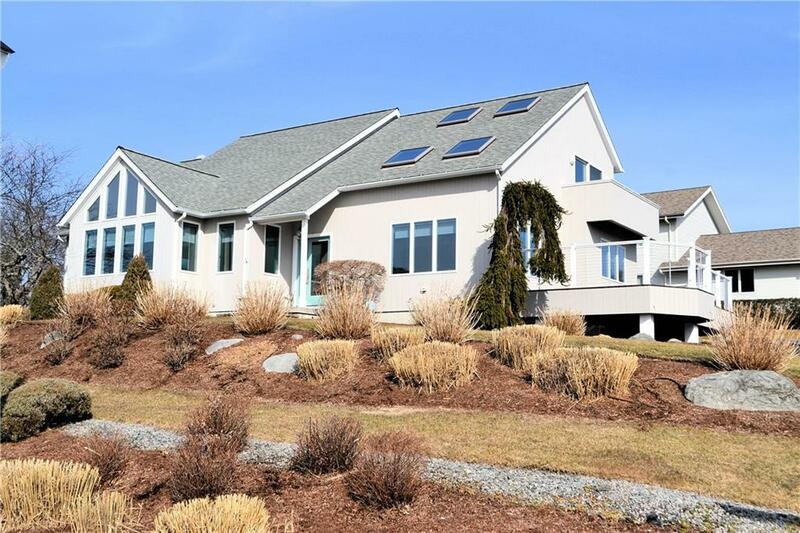 Stunning water-views of Bristol Harbor from nearly every room in this sophisticated Contemporary. The homeowners paid attention to every detail,only the finest materials were used. The redesigned kitchen is home to all top of line appliances such as Thermador, Subzero and Electrolux paired beautifully with custom cabinetry. Wonderful natural light is abundant in this easy open flow of the first floor. Soaring vaulted ceilings, beautiful hardwood flooring, a sunken dining and living room with gas fireplace. A desirable first floor bedroom could easily transform into a working home office or media room. The remodeled laundry room and full bathroom is also part of the first-floor space. 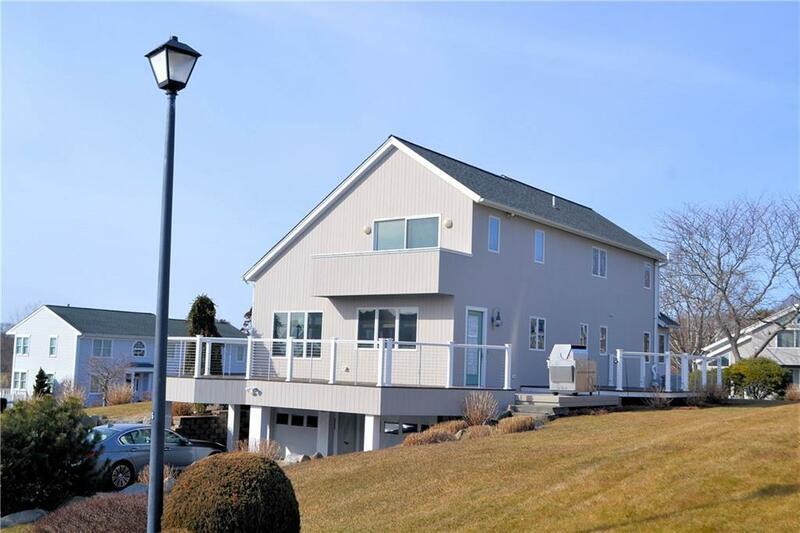 The spacious second level is home to the master suite and second bedroom. Closets are plentiful and a central vacuum system on all levels.The finished lower level is light-filled, finished walls of bead board, newly installed carpeting, LaVette and plenty of room for storage. A whole house generator is in place,you will never be without power! 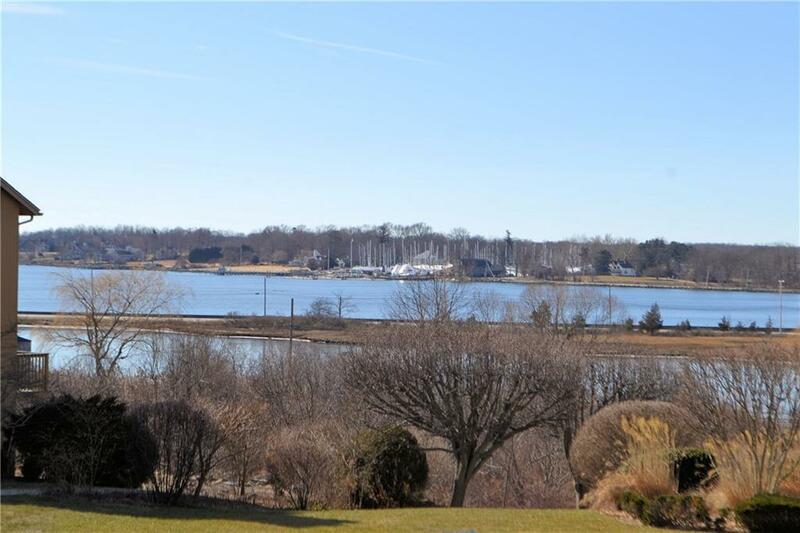 Beautiful mature landscaping and a sprinkler system which runs off a well for endless watering.Enjoy a front row seat to boats sailing in and out of the harbor and July 4th fireworks from mahogany decks with an aluminum rail system. You are in one of Bristols prime locations. An easy walk into town,Colt State Park,Bristol Harbor and the EastBay bike path.